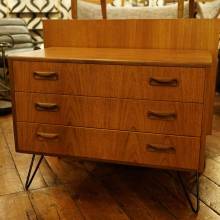 G Plan teak sideboard on hairpin legs with one drawer & two doors. 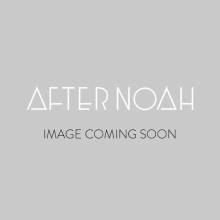 There are two sideboards (sold seperately) that have slight differences. 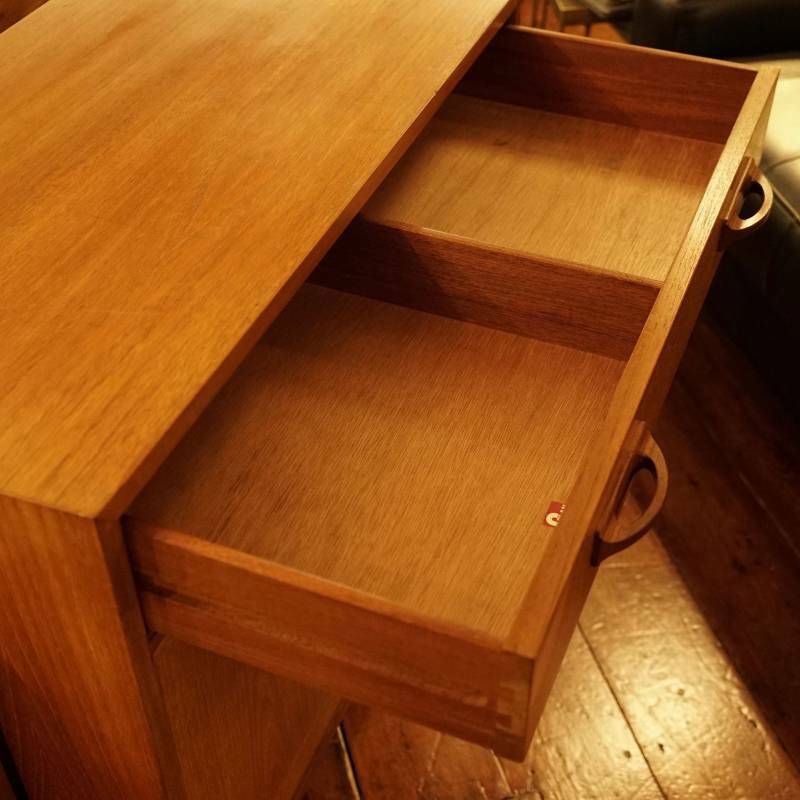 One sideboard has a cutlery divider in the drawer and the other doesn't (please see photos). 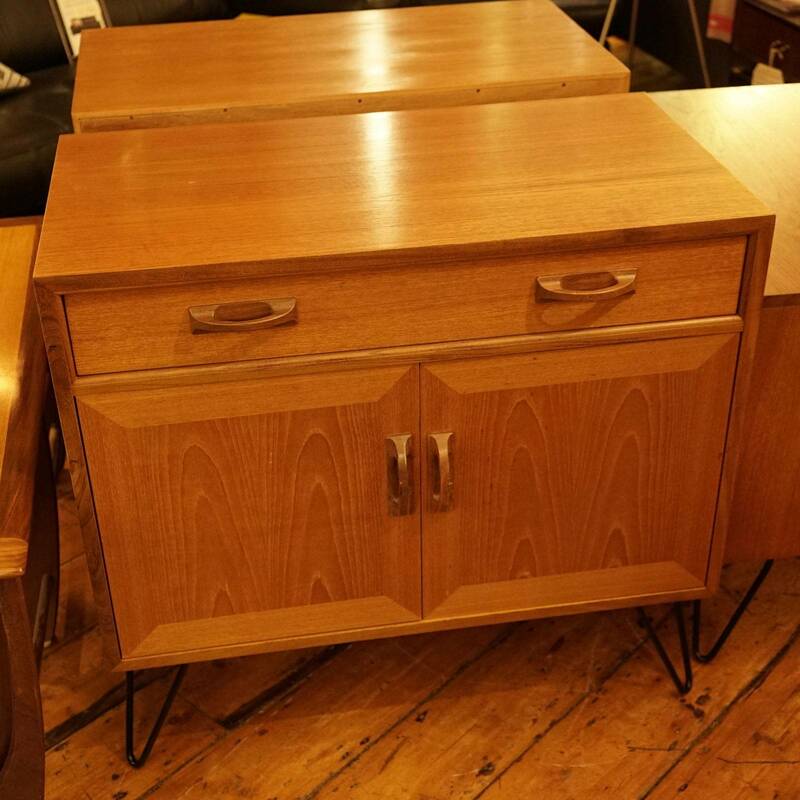 Red Label G Plan sideboard, with one cupboard and one drawer. 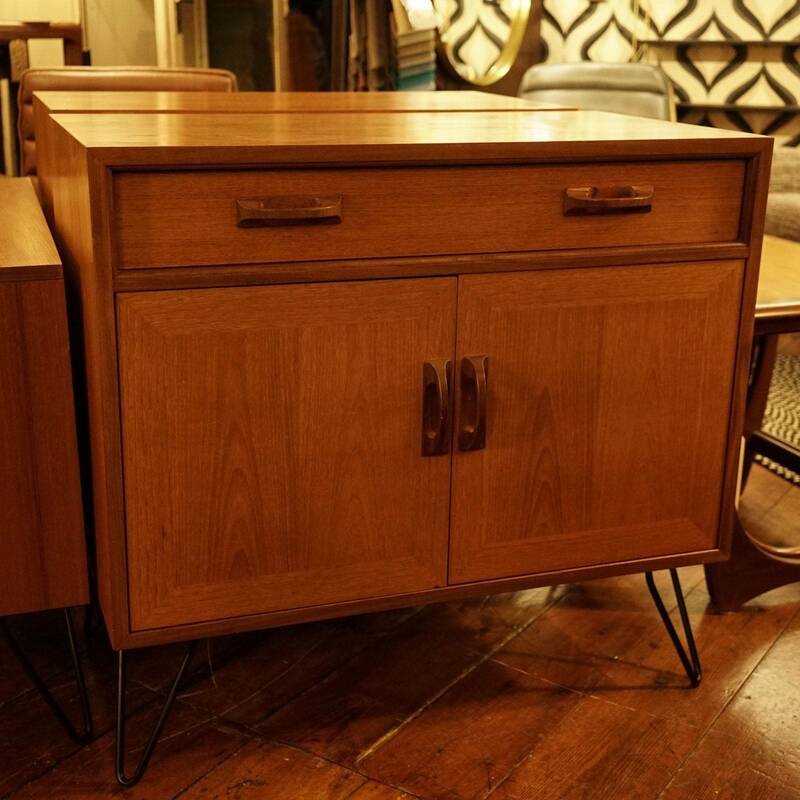 The sideboard is veneered in teak and has solid, carved, afromosia handles. 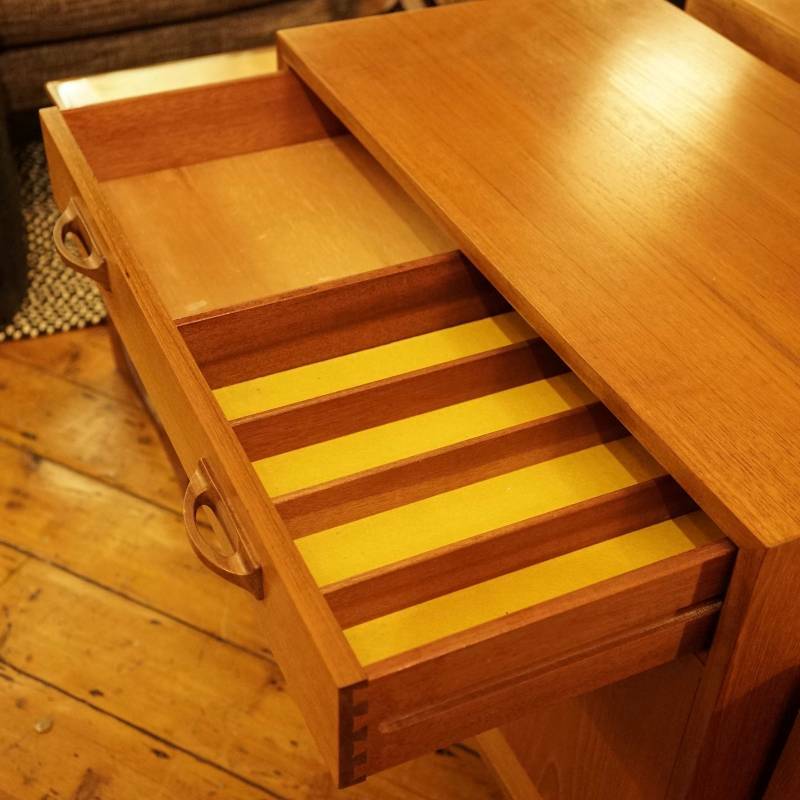 The drawer has a central divide and machine dovetail joints. The hairpin legs are not part of the original design and would have been added later. 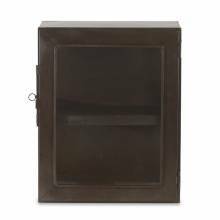 Its red G Plan label dates this sideboard between 1965 - 1975, the magnetic catch on the cupboard doors places it most likely in the 1970s.